When Amazon Prime celebrated it’s 10th UK Birthday this month, the online shopping and streaming service marked the occasion by releasing a list of 10 best-selling products of the last decade (Team W&H prefers to celebrate with prosecco and M&S Cheese Puffs, but each to their own). The list makes for fascinating reading, particularly for one standout skincare bargain that bagged a prime spot, none other than good old Bio Oil. This specialist skin oil, which retails for around £9 on Amazon Prime, is probably familiar to you (make that definitely familiar if you’ve ever been pregnant) But what makes this multi-tasking product so popular it made a list that also includes Adele’s mega-seller 25 and toddler singalong favourite Frozen on DVD? We’ve all got one evangelical friend who swears using Bio Oil in her pregnancy is the reason she remains smooth and stretch mark free. If that’s not enough to convince you Clinical trials have shown that 95% of people saw an improvement in stretch marks within two weeks of using Bio Oil, the results on scars was similarly impressive at 92%. 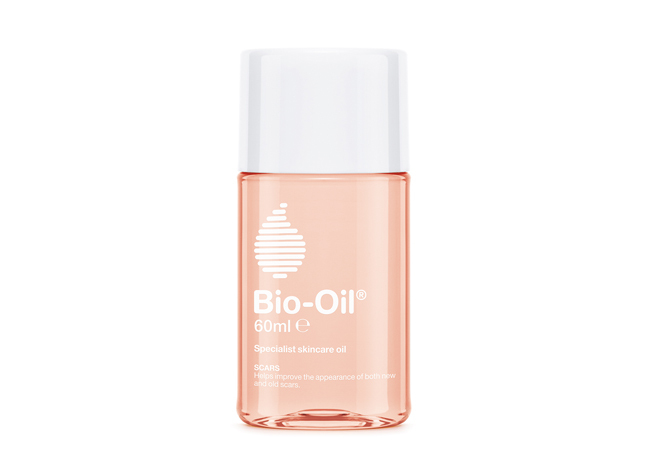 Bio Oil is also just a lovely nourishing oil that can be used on your body and face. Use it instead of your body lotion during winter months, rub it into cracked heels and pop a pair of socks on overnight. It’s amazing as a post-shave skin soother or mix a few drops in with your hand cream to keep them seriously soft and protected from dehydrating winter weather. 3. It can enhance your make-up too If you have dry skin or, like me spend your life chasing dewiness in all it’s forms, keep a bottle of Bio Oil in your makeup bag. You can mix it in with your foundation for healthy, glowy coverage or dab it on your brow and cheekbones for juicy-looking highlights. Lipstick too matte and drying? Smudge a dab of bio oil over the top to sheer and plump it out.